Vegas recap and off to DC/Charleston! 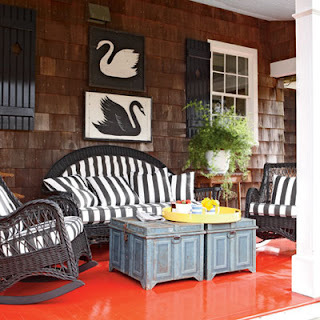 Coastal Living has the best decorating inspiration. 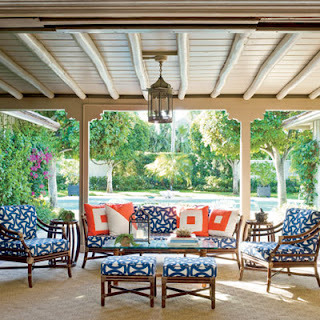 With summer around the corner it's time to think about outside spaces. I haven't done anything with my balcony since this post last year (yikes) but I am finally tackling it this month! I wish I could have a swing and a rocking chair. One day! Any suggestions on working with a small outdoor space? 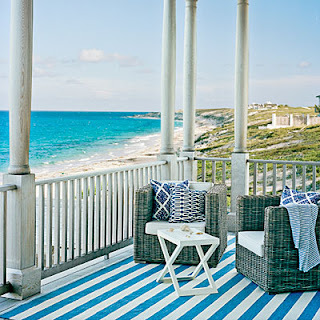 Love all of these and Coastal living mag- it makes me want a beach house! I would say add some fun decor to the table and chairs- maybe colorful pillows and some fun candles. I love adding a carpet to a small space! 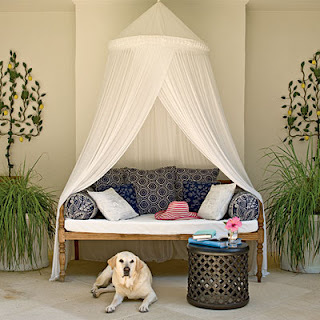 Also mirrors, small lights, maybe a patterned screen or trellis to give you some privacy? 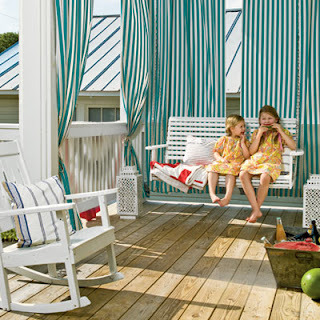 Love the blue and white cabana stripes! Try lots of plants too! I can't wait to see how you decorate. We'll have to have drinks out there soon! We have a front porch now! So far I have 1 single and 1 double adirondack chair. Plus a side table. It definitely needs some sprucing up!